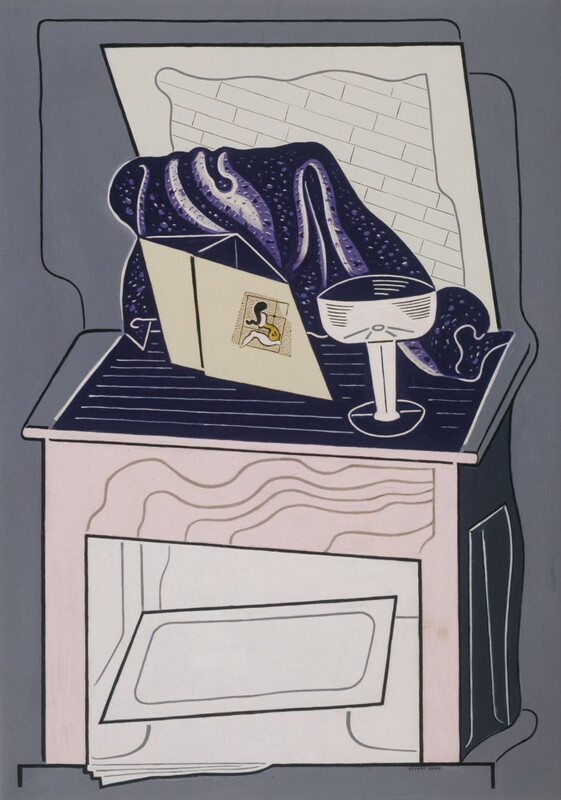 Co-organized by the Whitney Museum of American Art and the National Gallery of Art, this exhibition examines, with new detail and insights, how Stuart Davis (1892–1964) appropriated European avant-garde painting to convey the experience of contemporary American life. Over the course of his 60-year career, the artist invented a vocabulary in which bold colors and flat, jagged forms were compressed into dense, syncopated compositions that mimic the impact of abstract billboards. By emphasizing his mature work, created after he had assimilated the lessons of Fauvism and Cubism, this exhibition argues that Davis made the European modernist styles his own and thereby created an American modernism of equal vibrancy and complexity. Stuart Davis: In Full Swing features Davis’s Super Table, from the collection of the Terra Foundation for American Art. This exhibition is on view at the Whitney Museum of American Art, New York, New York (June 10–September 25, 2016); National Gallery of Art, Washington, DC (November 20, 2016–March 5, 2017); the de Young Museum, San Francisco, California (April 1–August 6, 2017); and Crystal Bridges Museum of American Art, Bentonville, Arkansas (September 16, 2017–January 1, 2018).